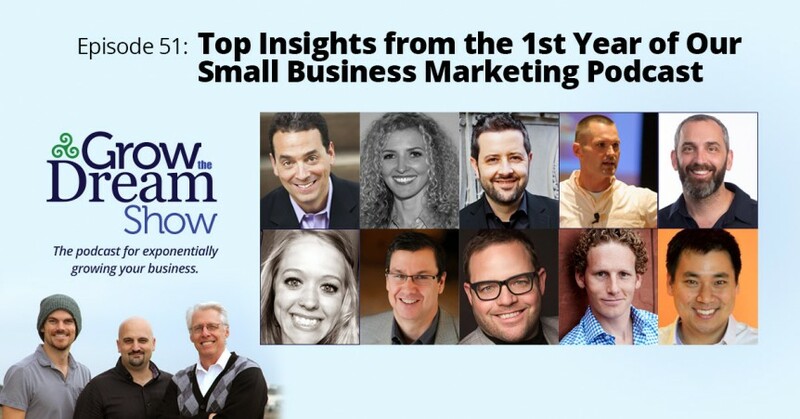 Celebrating the one-year anniversary of the Grow the Dream Show, we look back at highlights from the three of us and from some of our guests, including Dan Pink, Jay Baer, Larry Kim, Tom Ziglar, Jonah Berger, Dr. Carmen Simon, Chris Goward, Marcus Sheridan, Joe Chernov and Kristen Matthews. These guests cover everything from content marketing to the science of memory and motivations to making social media posts work, and so much more. A valuable look-back for those who want to review or listen to some of these shows for the first time. If you are in marketing, you will find value throughout this show. Brew of the Day: Josh uses Dark Roast beans from Koffee Kult to prepare a special cold brew. …and a whole lot more! Enjoy!